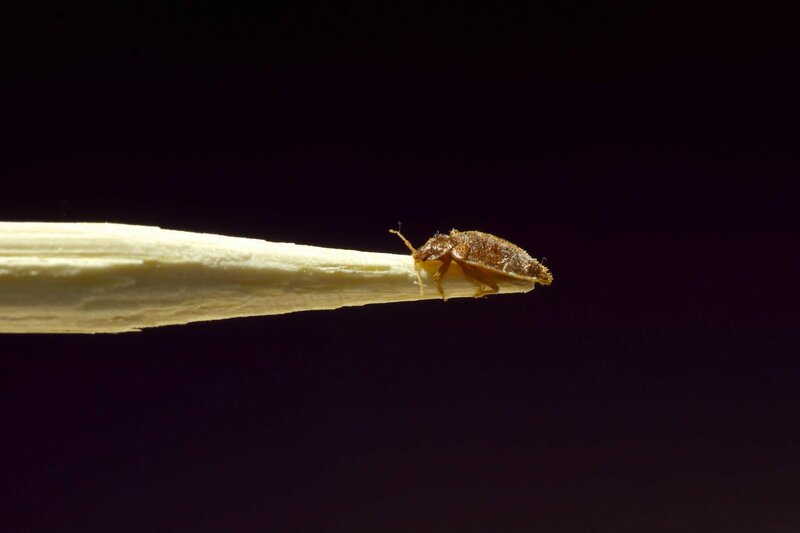 Few pests are as persistent and annoying as bed bugs. These infectious little bugs bite, live where we sleep and, in recent decades, may have become more resistant to insecticides. This combination makes them especially irksome. With the recent boom in the bed bug population – including in Phoenix, Arizona – studies are focusing on how to prevent, control and eradicate these pests. One recent study even looked at whether bed bugs have preferred colors in an attempt to design more effective treatments. What’s a Bed Bug’s Favorite Color? The study, published in the Journal of Medical Entomology, found that when bed bugs are exposed to light and looking for a hiding place, they tend to favor darker colors – particularly red and black. Scientists suspect bed bugs opt to take refuge under darker colors because they’ll be better camouflaged or mistakenly think the colors are actually a collection of fellow bed bugs. This is further supported by the bed bugs’ distinct dislike of lighter colors, particularly white, yellow and green. This may be because these colors seem light-bright to the bugs or possible that the lighter color offers less concealment, according to a Washington Post article covering the study. While the preference for red and black and the dislike of white, yellow and green are fairly universal, hungry bed bugs aren’t picky and will seek shelter without paying attention to color. Should You Get New Bedding? Don’t throw away your red and black bedding just yet. While bed bugs have been found to generally have color preferences in the light, they don’t see color very well in the dark – when they’re most active. By the time you suspect you have a bed bug infestation, bed bugs have already taken up residence in their harborage spots – dark cracks and crevices most often in mattress, but also sometimes in the seams of luggage and bags (that’s how bed bugs travel and spread). For this reason, changing the color of your sheets and blankets will likely do very little to deter or prevent an infestation. Then Why Do Colors Matter? While this new information won’t help people protect their homes, it could be useful when creating bed bug traps and extermination treatments. By understanding what attracts and deters bed bugs, pest control experts can optimize traps to catch even more of these pesky critters. For instances, there are currently two popular monitor traps (that can help determine if your home has bed bugs) on the market the feature the same design – one is white and the other’s black. With this new information, we may see the white version phased out in favor of the darker color that could be more attractive to their target. For bed bug assessment and treatment, contact Blue Sky Pest Control.